I had a few expectations for Easter Island. 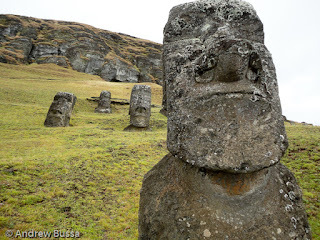 First, since their economy is based on tourism, I expected a well-developed tourist infrastructure; secondly, I expected the moai statues to be impressive; and thirdly, I expected a beach. Two of the three expectations were met. The Explorer Hotel looks like the only place at a Holiday Inn Express level or better. Unfortunately it was booked. I wound up at a place that had 3.5 stars on Expedia that turned out to be a decrepit dump at $80 a night. Just be careful when booking as these hotels change their names to get a clean slate of reviews. My hotel was very old, but just changed names, so there were no customer reviews. 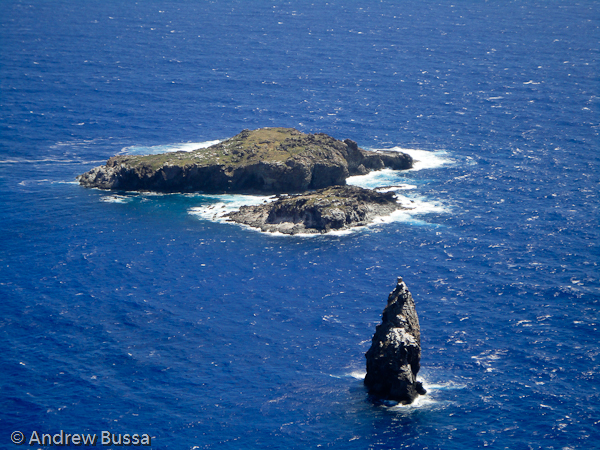 Easter Island is about as far west as Phoenix, but is in New York’s time zone, so it stays very bright very late. I had plenty of time to see the park at the southern end of the island. 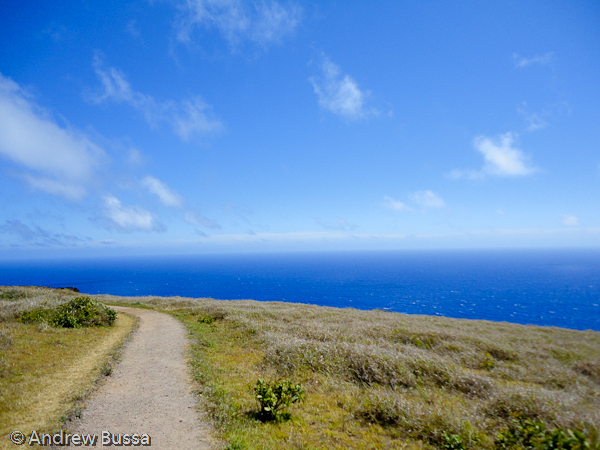 It’s a 3-4 hour round trip hike from town and uphill, so try to bum a ride if you can. A nice foreign exchange student from Seattle offered me a ride up the hill. The park has some rock carvings, old stone huts, and great views. 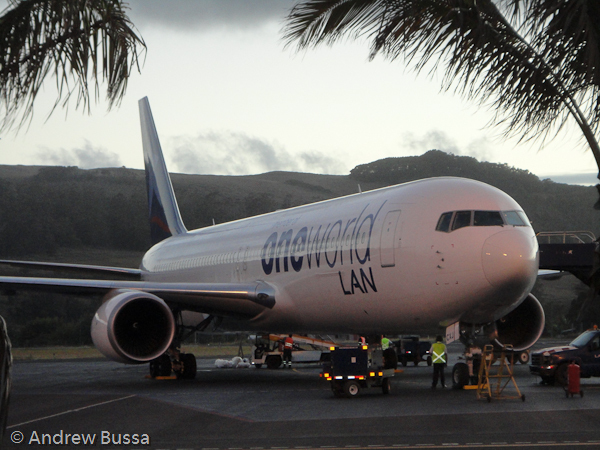 The hike down the hill is nice and brings you to the airport and town. The weather was perfect and the water was an amazing shade of blue. Once in town I arranged for a 24 hour ATV rental so I could get around the island the next day. There are a few rental places on the main street in town and it costs about $60 for a day. There are a few restaurants in town too, but none seemed very popular. The next day I woke up to find it raining, seriously heavy rain. Like raining so hard I left my digital camera in the hotel and just took my underwater disposable. 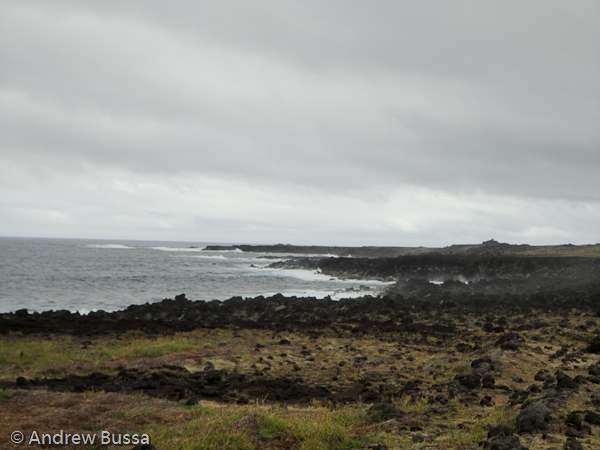 I only had one full day on the island, so I went out in the downpour to see what there was to see. I drove along the eastern coast to get to the other national park and see the sights along the way. The roads are in generally poor shape outside of town and the ground is covered with volcanic rock or poop. It’s hard to tell the difference usually. 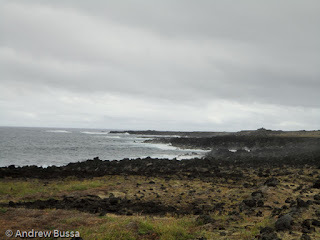 There are some status and rock carvings along the way, but the island is very barren and desolate. It is almost creepy. 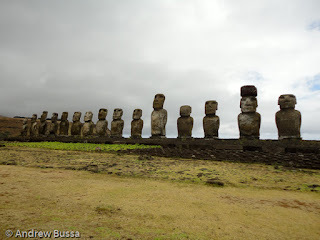 I arrived at the national park that was the quarry for the moai statues. This park is up to a medium level of difficulty for hiking around. There was also no signage explaining what you were looking at. The park is very impressive with dozens of status dotting the side of the hill and great views of the island and sea. This is the one place you have to go to on your visit. A short drive down the road is the most impressive restored moai collection. All the signage there explains how the Japanese helped restore it, with nothing explaining what it is. 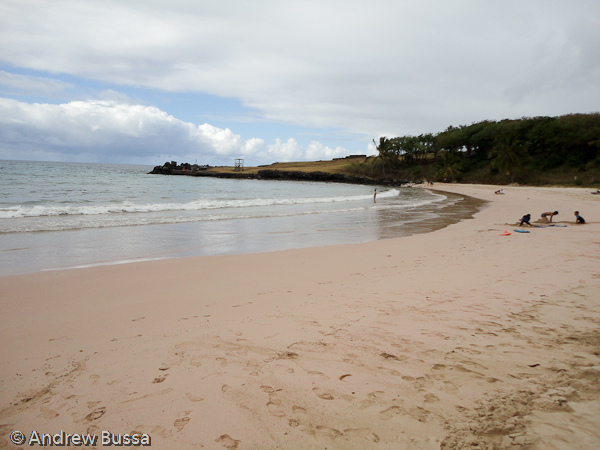 I found the very small beach at the top of the island. 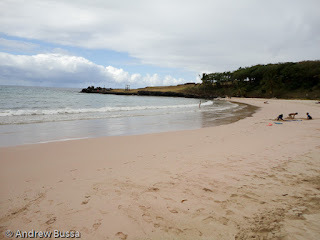 The sand was almost pink and it looked amazing. 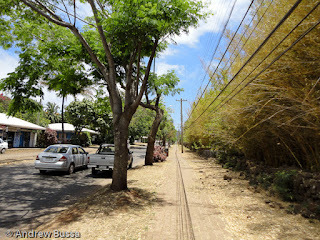 The one nice road goes from the beach to the airport; it was the only route that didn’t kill my back. 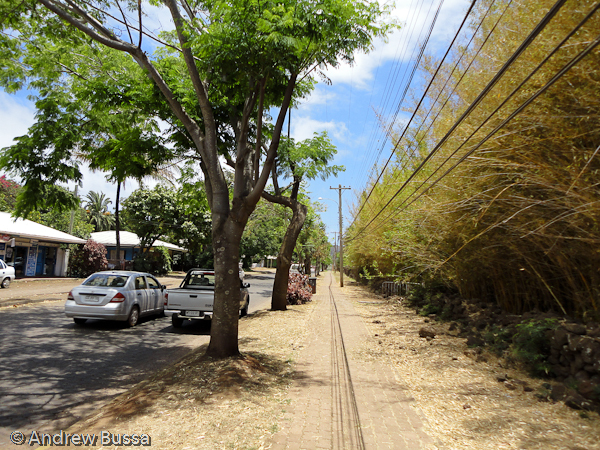 The infrastructure is lacking all around the island. No signage, generally bad roads, crappy hotels, stray or wild animals everywhere, but it doesn't phase to locals and the tourist weren't likely to return anyway, so why invest? At night, the island seems over run with cockroaches. During the day, stray dogs take over. You can see what you need to with only 24 hours on the island. I took 48 because I thought the island was much larger than it is. It also let me see it again when the rain stopped so I could use my digital camera. I’m glad to have seen it, but don’t feel a need to return.